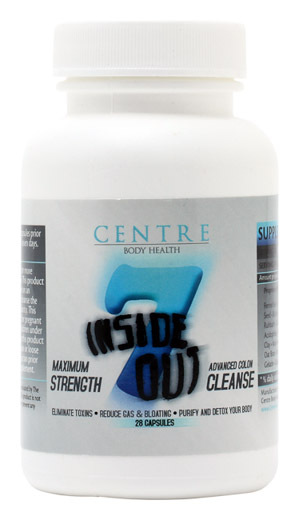 I decided to write about colon cleansing this week because our last Facebook Sweepstakes winner actually won our 7 Inside Out Colon Cleanse. Colon cleansing has become very popular again in the last decade, but it is by no means a new idea. It is an ancient practice going all the way back to the Egyptians and Greeks, though the manner of the cleanse can differ. The theories are plentiful about why it is beneficial and what it does to help your health in many areas. The science? Not as much. This is one of those health treatments that you have to experience (or research) and decide for yourself. There are so many things that fans of natural medicine and remedies put their full endorsement and testimony behind that many people in the scientific and medical communities don’t agree with. Is colon cleaning one of these? Types of colon cleansing: An oral-based version is most commonly called a “cleanse” while an irrigation version is also used by many for similar purposes. Theory behind (no pun intended) colon cleansing: That solid waste builds up along the walls of your large intestine, wreaking havoc with your health by putrefying and disrupting healthy balances of good flora, harboring hateful bacteria, and leading to symptoms of fatigue, irritability, and ill health. Scientific skepticism and response: Your body does a fine job of eliminating waste, and some colon cleanses can be dangerous. Some of their concerns include: can lead to electrolyte imbalances or the herbs can interfere with medications or conditions, and irrigation types can introduce harmful micro bodies or perforate colon lining. Most medical professionals take special issue with the irrigation methods. The only time medically they agree it is needed is during medical procedures like a colonoscopy when it is crucial the colon be free of solid material. Weight loss: by eliminating excess build-up of solid material, you are eliminating some weight. The process is also thought to help your body metabolize and eliminate better. Flatter stomach: after a colon cleanse, you may notice a flatter tummy thanks to an empty tank! Less constipation and more regular, healthy bowel movements. Less mucus in your system. By removing toxins, you can experience a number of things from improved moods to greater mental clarity, better appetite regularity (less “no appetite” and less “blood sugar swings”), improved skin appearance/reduction of skin conditions, better joint health, even reduced bad breath! Read the instructions on the one you are interested in: some are designed to work quickly, and some ask that you commit a fair amount of time to the cleanse to be sure it will work overall. It is not uncommon to be on one for up to 3 months, possibly with different phases to each 30-day period. Almost all cleanses ask you to look at your diet and lifestyle; adding in exercise, drinking more water and less sugary or caffeinated beverages, eating fresh fruits and vegetables, reducing meat, dairy, sugar, and processed foods will all help your intestines be and stay healthier. Fasting can be part of a cleanse or a recommended lifestyle habit after your cleanse to help your body rest once or twice a month from processing food and waste. Depending on the cleanse, you will take a number of capsules (ingredients vary) and drink clear liquids, water or apple juice mainly, or sometimes an herbal tea, in LARGE quantities, to flush out your system and colon. It is really important to drink as much as you are instructed to drink so that you stay well hydrated for the cleanse to work properly and to avoid side effects. It is important to know what is in your colon cleanse if you are taking medications so you avoid any interactions. Check with your doctor prior to doing a colon cleanse to be sure you don’t have health concerns that might prohibit one. You need to plan your schedule accordingly – it is called a colon cleanse! Even the more gentle and long-term versions can still have an immediate effect in the first 24-48 hours! So to cleanse or not to cleanse? That is a question only you can answer! Cut down on: sugar, processed foods, fast food, fried foods. Balance red meat to other protein sources like beans and tofu. Eat lots of healthy and colorful fruits and veggies every day – think rainbow! Get regular exercise, daily walking and bicycling are both awesome and low impact on joints but high impact on health, including digestive/colon health! Fiber! Naturally from foods, and consider a good fiber supplement even if it isn’t part of a cleanse.